Enjoy this once-a-year opportunity to shop for horticultural delights at the Horticultural Art Society (HAS) Gigantic Sprint Plant Sale. The sale is in the beautiful HAS Demonstration garden near Monument Valley Park. Shop the HAS Gigantic Annual Spring Plant Sale May 13, 14, 15th. Our friendly, knowledgeable and passionate gardeners will help you find those unique and fabulous plants suited for your specific garden needs. Held the weekend after Mother’s Day, the sale takes place in the Horticultural Art Society’s Demonstration Garden next to Monument Valley Park (222 Mesa Rd. and Glen Ave) I-25 to Unitah (exit 143) – Head EAST – First Right @ Glen Ave – 1/2 mile to the Garden – Corner of Mesa and Glen. Friday, May 13 – 9 a.m.-5 p.m.
Saturday, May 14 – 9 a.m.-5 p.m.
Sunday, May 15 – 9 a.m.-4 p.m. The sale offers a huge variety of shrubs, vines, grasses, succulents, rock garden, and perennials suitable to our area, including Plant Select selections, many native plants, and a terrific selection of xeric varieties. Additionally, you can pick from a terrific selection of interesting and unusual organic vegetable and herb plants for your kitchen and perennial beds. 2016 Partial Plant Availability List – All items limited availability. Come to the Sale to see what else we will have. 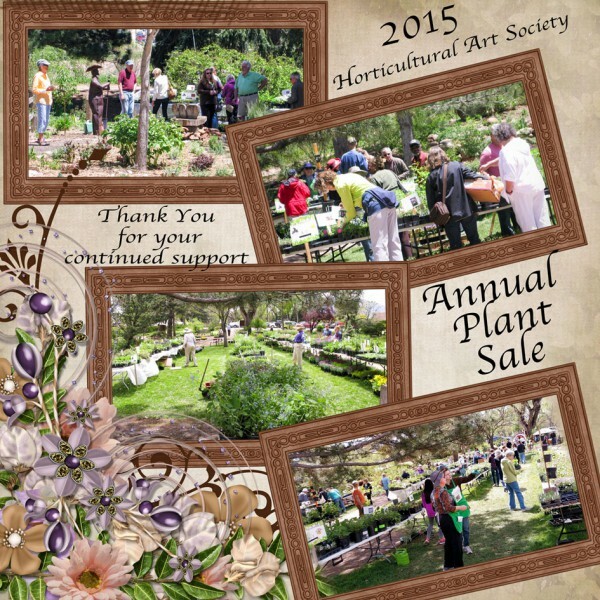 All proceeds from the sale support the activities of the Horticultural Art Society, most importantly the care and upkeep of the Demonstration and Heritage Gardens. Now’s the time! Don’t forget to scan your garden and garage to find treasures to sell at the HAS Gigantic Annual Plant Sale. Your donations help build community, fun and funds! Drop them off to the Demonstration garden on Tuesday’s or Thursday’s from 9-12 or Wednesday or Thursday, May 10 and 11th or even on the Friday of the sale. If you can, please put the name somewhere on the plant – but this is not required, by any means. Please make sure to allow at least several weeks for them to root. So time is of the essence for plants, although clearing out your garage can be a last minute process – the way it is for almost everyone! If you would like to volunteer for this event, please email hasgardens@gmail.com or call 719-357-9427.